A livable home built in a day A few years ago, the Beijing-based studio People?s Architecture Office (PAO), introduced a promising concept called the Plugin House, a prefabricated housing unit that ?plugs into? an existing structure. PAO started the project as a way to make Beijing?s old, dilapidated buildings livable again, and since then they?ve expanded and refined the idea over the years with projects like the renovation of one client?s childhood home to include a new kitchen, bathroom, and living room. PAO recently finished two new Plugin Homes in the Chinese village of Shangwei. The local government tapped the studio to develop low-cost housing modules for artists that would make the neighborhood?s centuries-old structures habitable again without demolition. Both the Fang Family Plugin House and the Huang Family Plugin House are in the typical Plugin style? 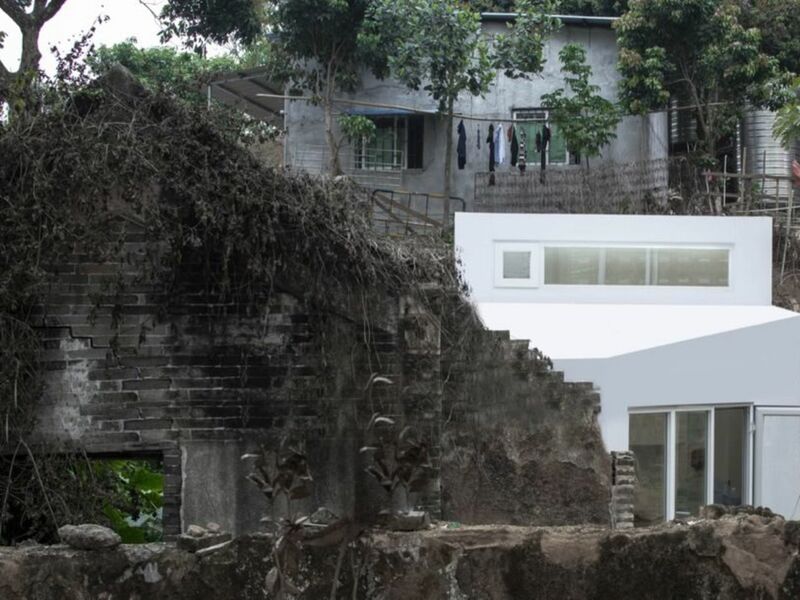 angular, white additions that affix to the sides and ceilings of crumbling ruins. They?re small?215 and 160 square feet respectively?and are built from prefab panels that can be constructed in a day with hand tools.